Gautier Paulin finished his MXGP of Lombardia by climbing on the podium for the second week in succession, clinching second overall in Mantova. The Frenchman wasn’t entirely happy with yesterday’s qualifying race, but worked hard with the team overnight on his CRF450RW and bounced back strongly today to take a… read more. The recent dominance of riders aboard the Honda CRF450RW continued today, as Evgeny Bobryshev took his third qualifying race win of the season on the #777 machine. This just after the Honda riders went 1-2-3 in timed practice. Getting out the gate well, the Russian took an early before conceding… read more. 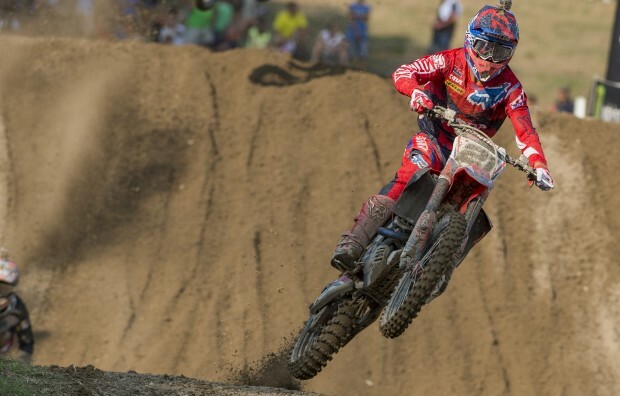 Team HRC’s Evgeny Bobryshev and Gautier Paulin head to Mantova, Italy, for the MXGP of Lombardia this weekend, with the aim of a fourth consecutive podium. 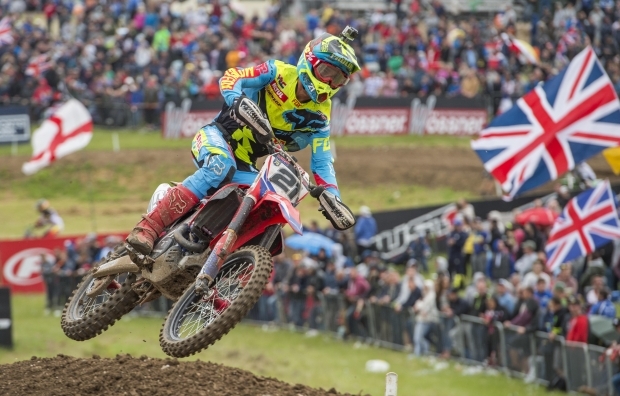 Along with the Honda Gariboldi’s Tim Gajser, the red of Honda has been a familiar sight on the MXGP podium this year, and Team… read more. 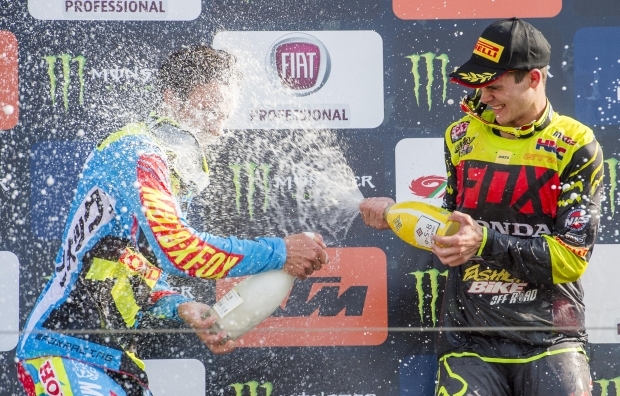 Evgeny Bobryshev took his third overall Grand Prix podium of the season today at the Italian track of Mantova with third position, continuing his impressive run in what is his most successful year in the MXGP class. Two good starts saw him launch into the top five on both occasions,… read more. The qualifying race for the MXGP of Lombardia started in red, with an all-Honda top-three for the opening laps. Getting out of the gate well, Evgeny Bobryshev slotted into second on his CRF450RW, flanked by the CRF450Rs of Filip Bengtsson and Christophe Charlier. 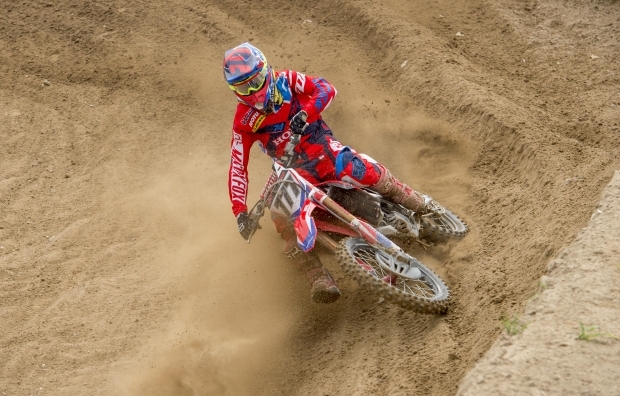 Gautier Paulin couldn’t avoid a tight line… read more. 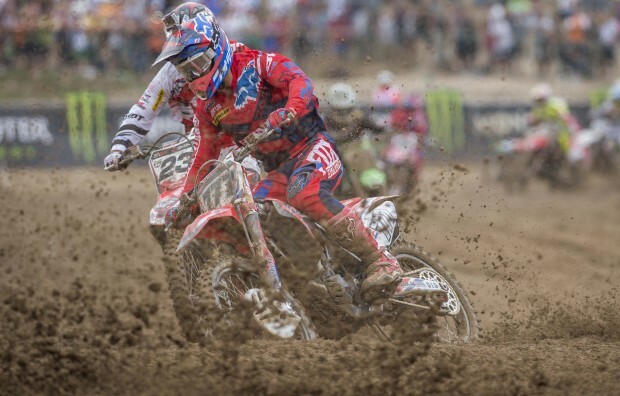 This weekend marks both the return to action of the FIM Motocross World Championship after a brief break and the penultimate round of the European season. After the cancellation of the MXGP of Brazil, due to be held last weekend, the Crossodromo International track in the Italian city of Mantova… read more.